Designed for ages 3-6 years, ABC Fun & 1-2-3 is a story-based preschool curriculum with printable alphabet worksheets, weekly lesson plans, easy kids crafts, nursery rhymes and more - all to make learning the ABC fun! A preschool curriculum for learning about the alphabet and concrete math skills. Mothers are always worried that they aren't stimulating their little children enough and that their children will be 'behind' their peer group. They also need the security of a curriculum that gives them age-appropriate activities to do with their children in order to stimulate them and lay a good foundation in their children's lives - a foundation that will also benefit their children later, when formal learning begins. After almost 20 years of homeschooling my five SIX, I've seen how important the freedom of childhood is for children, yet how laying a solid foundation of necessary skills helps so much, when formal learning begins. Research actually shows that small children need a lot of time to play freely in the preschool years and that this free play develops the part of the brain responsible for academic learning. You see, when children are playing freely, their imagination is stimulated, they formulate rules for their games, they solve problems they encounter and they engage the frontal cortex, which is required for later learning. This is why I always say that its the moms that need a curriculum, NOT the children! However, there ARE certain activities which parents can encourage which also make a significant difference to how children's brains develop. While young children DO NOT have to be rushed into learning phonics and developing reading skills (this could be detrimental), they DO need to be READ to on a regular basis. 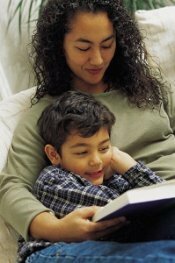 Regular reading aloud by a parent or caregiver ensures that children are being exposed to the complexities of language and this develops language and many other skills they need. ABC Fun & 1-2-3 combines both of the above in an adult- & child-friendly weekly program that gently introduces children to the letters and sounds of the alphabet and exposes them to good children's literature. Just like babies learn to walk and talk in their own time, with very little help from their parents, likewise, children who are read to and encouraged to explore their world, want to learn to read and write in their own time, and often require much less 'teaching', if they are not pressured to do so before they are ready. "There is reason to believe that the thrill the youngster finds in experimenting with the natural things about him at home is soon stifled by the distractions and regimentation of the typical school program." Using stories and age-appropriate activities, ABC Fun helps children learn about the alphabet and numbers in a relaxed way - its fun, not work! I have a 5 year old son with Down Syndrome and we have really been working on his writing this summer. Your worksheets have made it so much more fun for him than just writing letters. Thanks to you and your book! Thank you for helping him over the hump! If your children have role models (like you), who share the love of books with them, they will be enthusiastic about learning to read. "The idea that parents should hurry reading, spelling, writing, or math ahead of children's normal development is not supported by a single replicable research study in the world or by any clinical experience in history. All history, research and common sense points in the opposite direction! We repeat: Any who push the three R's early deny the readiness the Creator built in - reasonably mature vision, hearing, taste, touch, smell, reason, brain growth, coordination ..."
Research has shown pushing children into formal learning activities before they are developmentally and emotionally ready is detrimental. 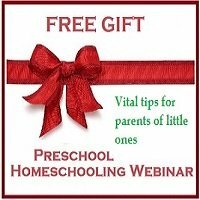 However, using the correct methods you can encourage interest, stimulate exploration and lay a foundation for later on when children are ready to begin with formal schooling. ABC Fun & 1-2-3 was written with the Moore's advice (left) in mind. It will spark a love for books and a passion for learning in your children, without the stress that is typical of other educational materials. It includes reviews of good quality stories (not twaddle) that you can read to your kiddies. gives you a solid plan that you can show others too, something your children can take pride in! 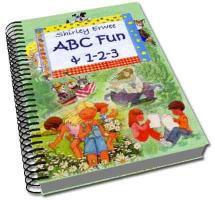 I recently purchased ABC Fun & 1-2-3 from Shirley, which comes with my highest recommendation! 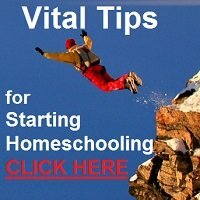 I taught for 2 years, and thought that homeschooling meant that everything had to be perfect and that I had to provide everything for my children that they would be getting if they were attending a nursery school and put so much pressure on myself that I spent half my life prepping lessons and programmes that I was too tired to give to my children ...completely defeating the entire point of having them at home with me! Anyhow, what I love about Shirley's programme is that she gives an outline for the week, providing structure, which I need, and the activities are great and most of the stuff you will have in your home, and it is flexible. It also introduces the alphabet in such a gentle and informal way and yet both my children recognise and point out letters wherever we are and are delighted that they can recognise them! I am relaxed, they are enjoying it! And learning! DO NOT COPY THIS SALES PAGE. DO NOT COPY. PAGE PRETECTED BY COPYSCAPE ABC Fun & 1-2-3 is a tool to help you teach your little children about the alphabet and counting, including practical activities, picture books and nursery rhymes to create a complete linguistic learning experience for preschoolers. Designed for children between the ages of 3 and 6, it can be adapted for use with slightly older and younger children too. Your book has been a prayer answered - your suggested programme fits our lifestyle / current routine just about perfectly. I was desperate for something, other than seat work, for my curious little girl - and you've thought of everything to inspire her without the rigidity of school. Many many thanks! Please note: This is NOT a grade 1 phonics/reading programme. It is intended to be used as a fun introduction to the letters of the alphabet with preschool-aged children that are not yet ready to learn to read using a formal phonics programme. Neither is this a math curriculum. It simply gives suggestions for fun ways for children to experience number concepts in the concrete world of their home environment. Encouragement for when doubts come! To access these sample files and the ebook, you will need to have installed Adobe Reader. Order now now and you will receive a FREE BONUS ebook. To ensure that you are completely happy with your purchase, I am GIVING you another children's book FREE, a book which is highly recommended and can be used along with ABC Fun & 1-2-3. This is an illustrated ebook version of the classic children's story The Tale of Peter Rabbit by Beatrix Potter, priced elsewhere at US$6.99. You can use ABC Fun & 1-2-3 for a full 8 weeks and if within that time you are not satisfied with your purchase, you can request a full refund. You will get to keep the free bonus as my gift to you! Order now and for US$22.00 you will be able to download the ABC Fun & 1-2-3 ebook plus the free bonus instantly. Within minutes you will be able to start enjoying them with your children. Order using PayPal's secure payment system. P.S. Right now you have an opportunity to make an educational investment for your child. You can instantly download ABC Fun & 1-2-3 and start a no-fuss learning adventure with your little one. P.P.S. 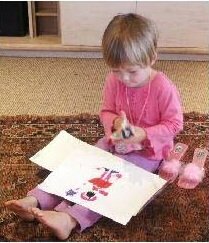 ABC Fun & 1-2-3 is designed to make learning as easy as child's play for your children and enjoyable for you too. Less than a dollar per week is not much to lay a good foundation for learning in your child's life. P.P.S. Remember, the risk is all mine. You have nothing to lose as you have 8 weeks in which to request a 100% refund if ABC Fun & 1-2-3 is not everything you expect it to be! 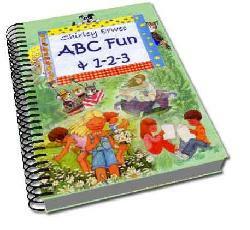 Printed, wire bound copies of ABC Fun & 1-2-3 are available from Shirley in South Africa for ZAR300 including postage to local addresses by registered mail. NEW! Non-South African clients can now purchase a hard copy online via Lulu.com in the USA. Click here to order a printed copy. If you live abroad and the shipping costs make it expensive, then rather buy the ebook and have it printed and spiral bound at your local copy shop. "I love the idea, love the way the learning takes place, love the books and poems recommended, and love that I feel a freedom to add to and take away according to the bent of my daughter, but most of all, I love the results. This is one tool that I as a preschool mom would not be without and certainly something that I love to recommend to other mothers." If I was only allowed to pick one early learning resource, then ABC Fun and 1-2-3 , by Shirley Erwee would be it! We had lots of fun times and created a lovely keepsake and precious memories. This resource gets a definite thumbs up from us. "Leticia and I enjoy using your ideas. We started with the letters of her name earlier this year when she said she wanted to learn letters. I decided to repeat them, doing whole weeks for each letter as you suggest. It's really working well." "I want to say thanks for creating such a great preschool program. My 5 year old wants to do school just like her big brother but is just not ready for the grade 1 program we are using. We have only started your book but already she is much more content because she is doing school. I've never bothered with e-books before as I have preferred to have a printed book in front of me but I have to say that I am impressed with ABC Fun & 1-2-3. I am happy do give a more detailed review when we arefurther in to the book. But so far, so good!" "When you buy ABC Fun & 123 the greatest benefit is that you do not only buy a curriculum for your little one, you "buy" Shirley's veteran experience and mother's heart."